I developed, led and executed the global campaign, "You can always count on running" for The North Face Performance division, focusing on running and training. I worked closely with the athletes and photography team to create content for print, digital, retail, OOH, events and anything else they needed. Starting in Fall 2009, this campaign continued through Fall 2011. Sales grew over 200%. As the previous campaign was winding down, I developed a new one which to launch later in 2011. These are the different directions that were explored around the thought of "staying out longer". A version of the 3rd option was approved and bought. 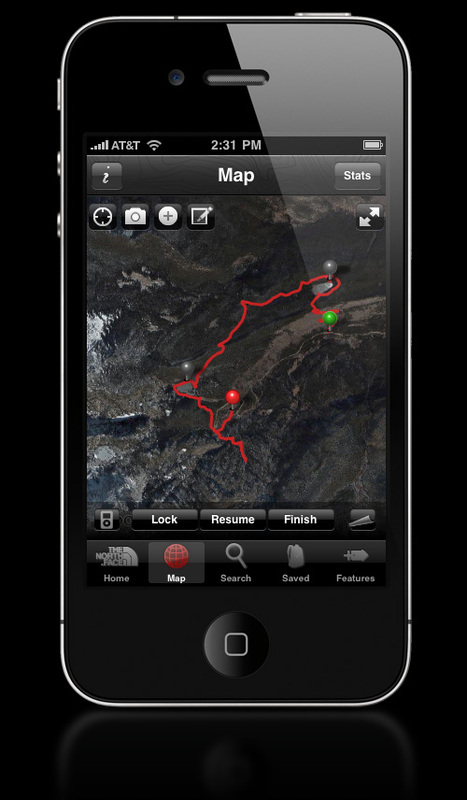 The North Face Trailhead App finds trails, hikes, bike routes and more based on your location. You can search by activity and length. Whether you’ve selected an existing trip or started a new one, Trailhead tracks your route, distance, speed and elevation in real-time. When you’re done exploring, you can post your trip to Facebook, Twitter or EveryTrail.com. We did a media takeover for the iPad version of Outside Magazine and featured the Trailhead App and The Snow Report in one placement that addressed the versatility and year round functionality of the apps. Turning the iPad changes the app that is featured.